The ResCoM platform brings together software applications and descriptive (i.e. non-software) tools and methods in one place to support decision-making and implementation of closed-loop product systems. Read about the the tools below or try the Circular Pathfinder to identify ResCoM tools that could be relevant for your product. The Upgrade Forecast tool is designed to help OEMs determine what upgrade specifications to include in product design. The tool facilitates interdisciplinary teams involved in product development to visualise future trends, demands and disturbances, to select the product features that will require upgrading and to determine the specifications of these future upgrades. 'Lease or Buy' is a serious game that lets users interactively explore two business models commonly used in circular product development. In the game, players can experience the differences in revenue streams and the risks associated with ‘ownership’ and ‘access’ business models. The game can be played with four to eight people in teams of two. The board game and workshops can be booked through the platform - while a downloadable version and the manual are available free of charge. The Reman Design Checklist helps product engineers to explicitly consider how easily product components could be remanufactured after use. This information allows them to track progress between design iterations. The output of the tool includes a scoring of product components and recommendations for further improvements. Share-a-Space Multiple Product Lifecycle Management enables the implementation of a ResCoM approach for managing and tracing the product-related data throughout the product lifecycles. The managed data is structured on the ResCoM data model for planning and executing the processes linked to remanufacturing and closed-loop supply chains. It traces the changes of products during its multiple lifecycles, and records and follows the product evolution throughout the lifecycles. MI:BoM Analyzer enables assessment of environmental, regulatory and supply chain risks, and can support increased resource efficiency for products. 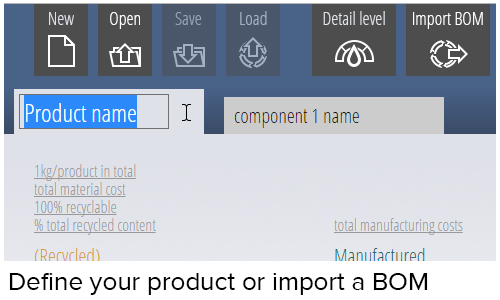 By importing a bill of materials (BoM) the tool can instantly run reports that apply an extensive database of materials, process, and environmental data to assess product risk and guide design decisions. Enhanced Eco Audit reports assess environmental impacts and cost across multiple use cycles. They provide detailed information on reverse logistics and estimating the break-even point for closed-loop remanufacturing against linear production, both in terms of environmental impact and lifecycle cost. The purpose of the Circularity Calculator is to help designers that work in the fuzzy front end of product development to obtain a ‘circularity instinct’, that is, an understanding of how strategic design decisions influence the degree of circularity of resource flows and potential value capture within the product-service-system. 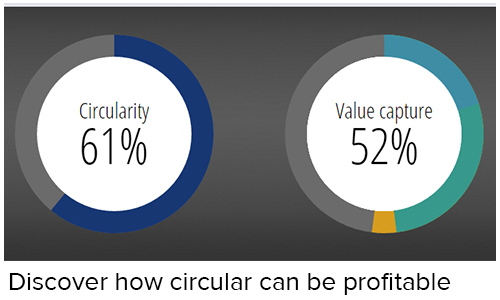 The Circularity Calculator tool displays the potential mass and value flows of a product, based on whether the different parts are either reused, remanufactured and/or recycled. 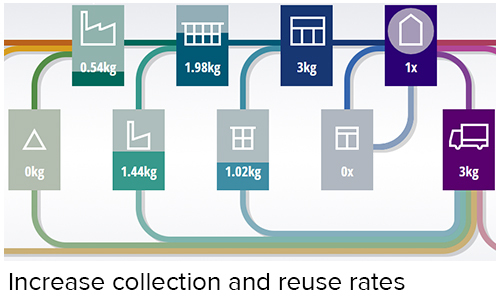 Designers can model different conceptual design solutions and business models to explore and compare scenarios and see their impact on performance indices such as overall circularity, recycling rate and value recovery potential. Both high level and more detailed analyses are possible to help generate ideas and recommendations and provide timely results. The Circular Pathfinder is a starting tool for companies interested in circular economy thinking. 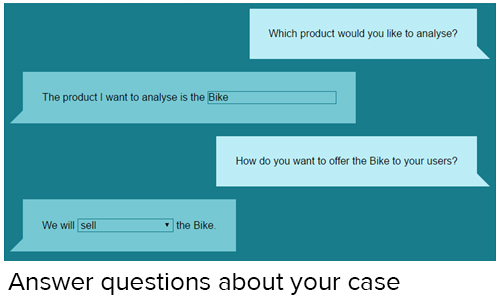 It allows them to explore and identify the most suitable circular pathways for their products by answering just a few questions. 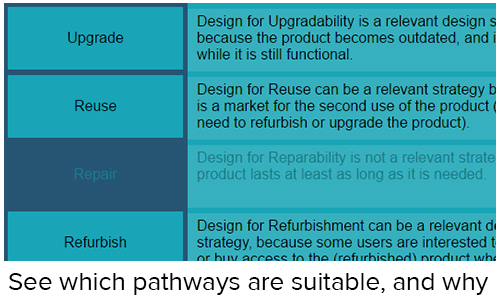 Informed by best practices of other companies, the Circular Pathfinder guides the user towards circular pathways that have potential in their specific case. It explains why certain pathways, such as product remanufacturing, life extension or recycling are of interest, with examples from companies that have already applied them, and suggests further steps to take. Modular design is a key enabler of circular business models that rely on exchange of components between products. The tool uses the existing Modular Function Deployment (MFD) method and extends it for multiple lifecycles, allowing companies to plan their chosen product modules along multiple use-cycles and lifecycles. MFD helps to determine the module interfaces and how they are to be standardised to support multiple lifecycle value propositions. 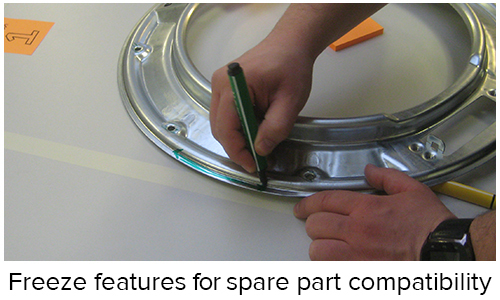 When designing for long product lifetimes and good reparability, the availability of spare parts is a key issue to address. 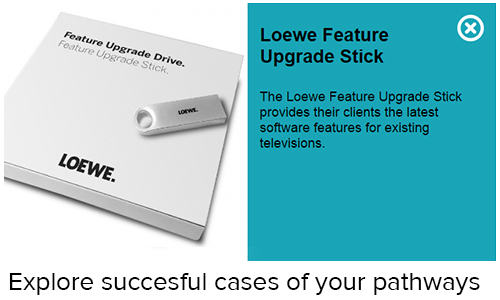 This can be addressed by ensuring part compatibility across product generations. 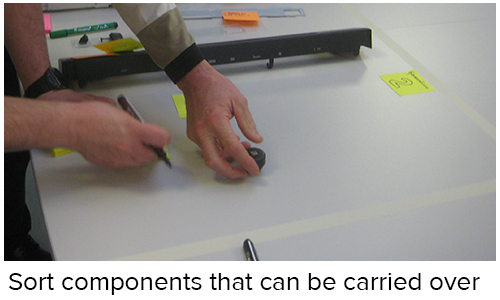 Strategic planning of carry-over parts should happen very early in the design process. The Part Planning tool is geared towards this design stage, providing designers with a fast and simple tool for part planning. 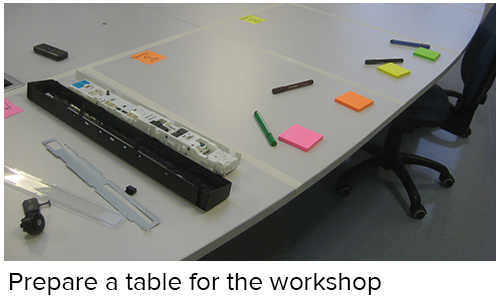 During an interdisciplinary workshop session, the tool supports designers to analyse and plan for carry-over parts across multiple product use-cycles. The Analytical Tool helps OEMs compare the potential profitability and environmental performance of conventional linear models with that of potential closed-loop scenarios. A number of parameters related to cost (e.g. production costs, forward and reverse logistics costs) and critical factors (e.g. remanufacturing success rate, return rate) can be modified to test different cases. Investment costs for design, reverse engineering, or facilities can also be included where needed. 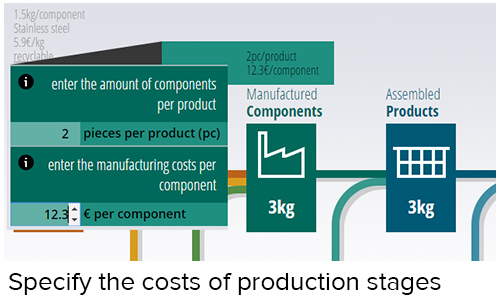 Carbon calculations provide insights into product scenario environmental performance. 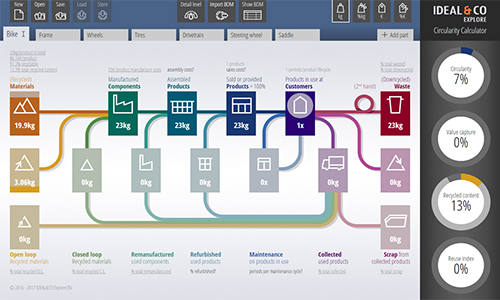 The Multimethod Simulation tool is capable of assessing the economic and environmental performance of products from an overall system perspective. The tool considers over 120 variables simultaneously using system dynamics and agent based modelling. The output helps designers and manufacturers to consider the effects of customer acceptance and the expected demand of new business models. Also considered are the effects of product design alternatives and supply chain design to respond to the needs of new business models.